On a snowy day like today, wouldn’t we all like to be warm and cozy next to a glowing fireplace? 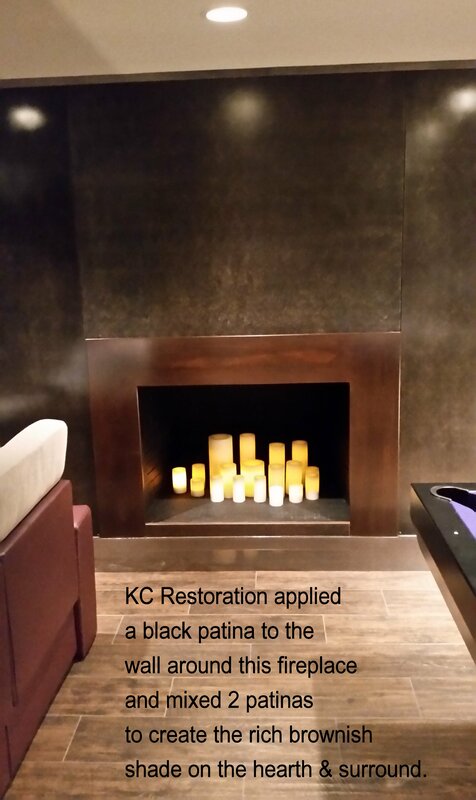 Here’s a photo of one of KC Restoration’s favorite fireplaces that got our finishing touch of a custom metal patina. McQuaid Brothers, the contractors of the pictured residence in Mission Hills, used metal walls, a fireplace surround and hearth fabricated by Gieske Custom Metal Fabricators of Kansas City. They turned to KC Restoration for our expertise in delivering custom patinas. We applied a beautiful black patina to the walls; the hearth and fireplace surround received a mixture of two patinas to create the rich brownish colors you can see in the photos. Together the patinas make for a glowing fireplace we’d love to be next to today or any day. Check out this custom patina finish! 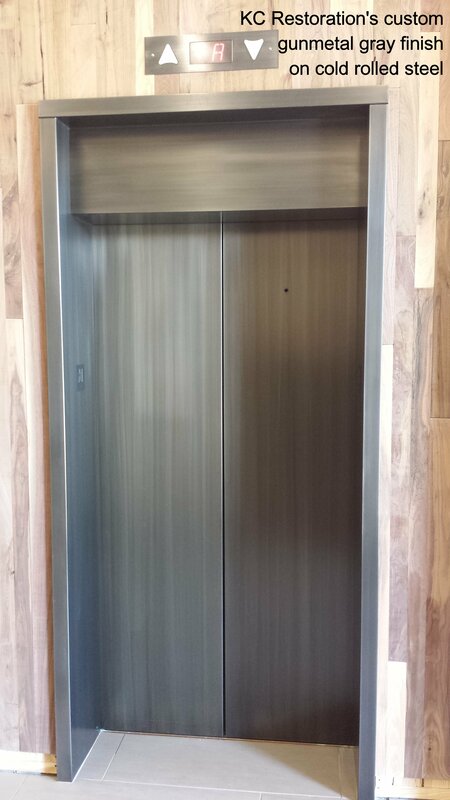 Check out this custom patina finish KC Restoration completed in a residence in Mission Hills, KS. McQuaid Brothers of Lenexa, KS is the contractor on the gorgeous home. The metal walls, fireplace surround and hearth were fabricated by Gieske Custom Metal Fabricators of Kansas City. 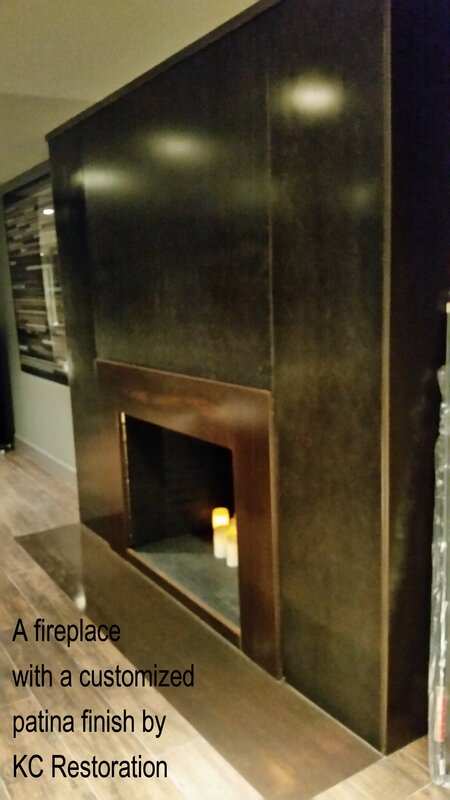 We applied a beautiful black patina to the walls, while the hearth and fireplace surround received a mixture of two patinas to create the rich brownish color you can see in the photos. 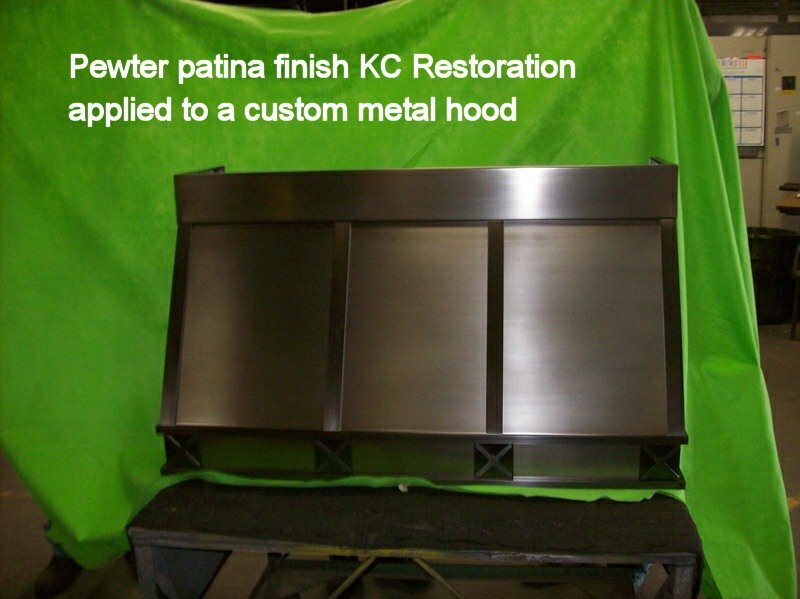 We’re proud to have put the finishing touch on this part of the project and proud to have clients who rely on KC Restoration’s expertise at delivering custom metal patinas. KC Restoration’s specialty is making your metal look its best whether through custom patinas and finishes for new metals or restoring older metal. We got to deliver some wonderful patinas when one of our clients, Gieske Custom Metal Fabricators created custom metal cooktop hoods for an architects’ high end clients. 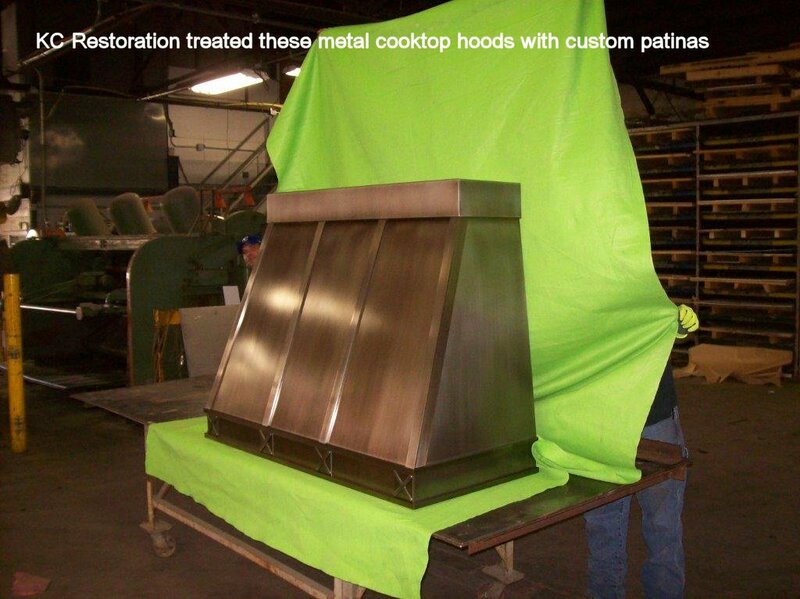 KC Restoration’s part of the production was to treat the hood with the finish the homeowners preferred. 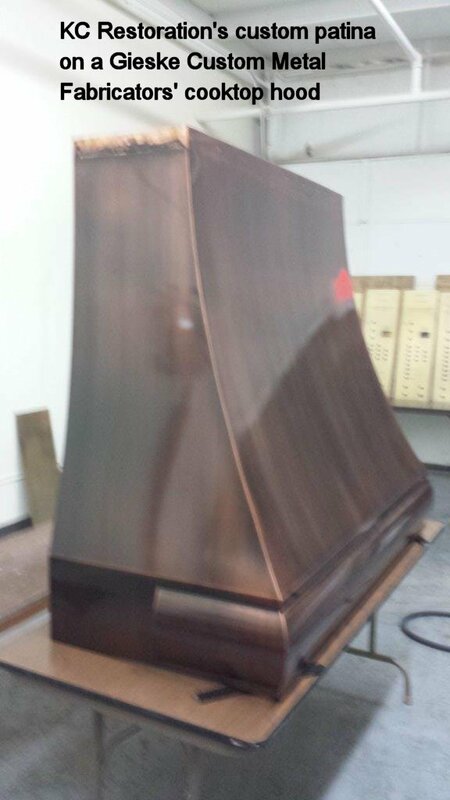 You can see examples of three of the hood finishes in the pictures below. They look beautiful and show off the wonderful products Gieske delivers and has been for 80 years. From oil rubbed bronzes to aged copper and more, KC Restoration gives metal that special look you desire. Whether you want a completely new look or want to match something existing, KC Restoration completes each job with the highest standards of quality and workmanship. 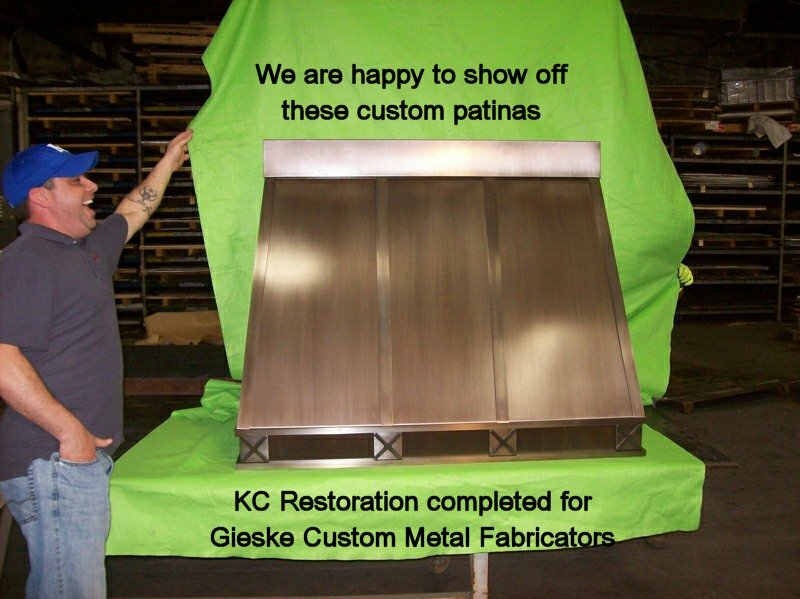 We love working on custom projects and with premiere companies in Kansas City like Gieske Custom Metal Fabricators.